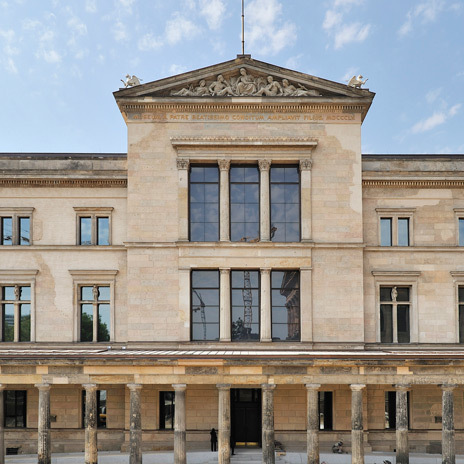 The Egyptian Museum and Papyrus Collection has a chance to present itself on a scale never shown until now, with over 2 500 exhibits on display in the Neues Museum's northern wing over three floors, covering 3600m². The conception and design of the display collection affords a comprehensive insight into the continuity and changes of Ancient Egyptian culture over four millennia as well as the cultural history of Ancient Sudan. The tomb architecture and relief art of the Old Kingdom are revealed in a unique way through the reconstruction of several chambers of offering. As well as illustrating various key cultural aspects, such as the cult of death and the gods, royalty and everyday life, the scholarly history of Egyptologyitself is also presented and outlined in depth for the first time. In the "Library of Antiquity", the Papyrus Collection presents a selection of highly significant texts and literary works taken from the culture of writing that stretches all the way from Ancient Egypt down to Late Antiquity. 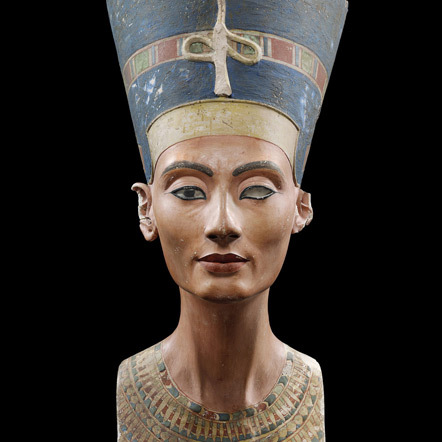 The exhibition concept places special emphasis on giving visitors a good idea of what the Ancient Egyptians looked like, through a series of sculptures arranged in several rooms according to various viewpoints, the apotheosis of which is formed by the display of the bust of Nefertiti in the Neues Museum's North Dome Room.